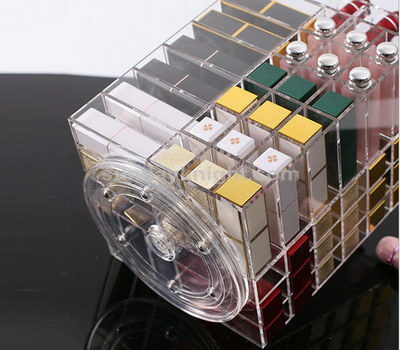 There are many kinds of cosmetic display stands, but the space in the shop is very limited. How to choose the right display stands for your goods? It is necessary to save space and do beautiful. 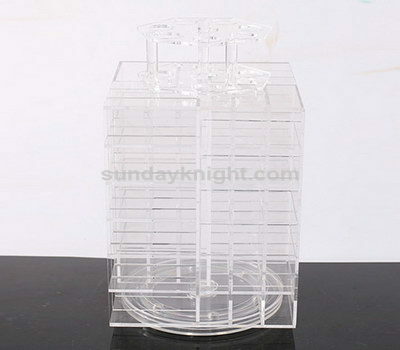 Sunday Knight Co. Ltd is professional in custom acrylic display stand, we always can bring a right solution for all of our customers. 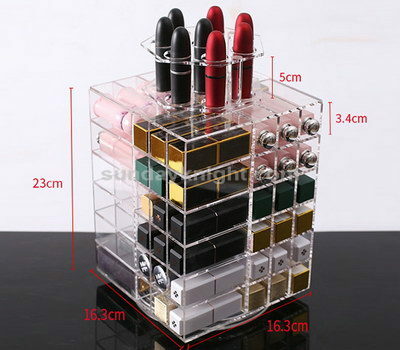 Here we show some magic acrylic lipstick display stands, they are not only the maximum degree of storage of goods, space-saving, 360-degree all-round display, the focus everywhere, and very convenient for customers pick up the goods.